What's left to say? The Russia 2018 FIFA World Cup has been eulogised from all corners of the globe since it kicked off one month and a day ago. Today it ends as it started in the Luzhniki Stadium in Moscow, where France and Croatia will battle it out to be crowned world champions. And we'll tell you how to live stream every single second of the World Cup final, absolutely free regardless of where you are in the world. The 2018 World Cup final sees France vs Croatia at the magnificent 81,000 capacity Luzhniki Stadium in Moscow. Today's match (July 15) kicks off is at 6pm local time in Russia. That's 4pm BST or 8pm if you're reading this in France or Croatia. Elsewhere, you'll need to tune in at 11am ET, 8am PT or 1am AEST in Australia Monday morning. So which way will this France vs Croatia World Cup final swing? 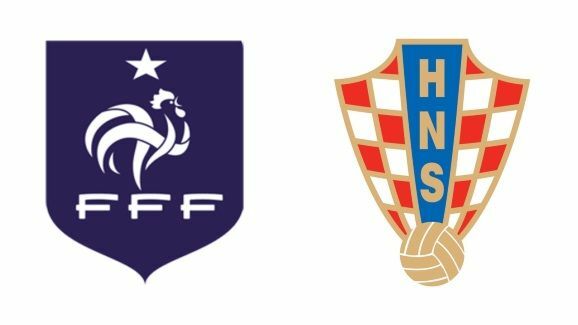 Only the staunchest contrarian (or Croatian) would deny that France are the overwhelming favorites for the final. They've been the most impressive team throughout Russia 2018, and it's very hard to spot a single weakness in their side. Hugo Lloris has been fantastic in goal, Kylian Mbappé and Antoine Griezmann electric up front and N'Golo Kanté a pint-sized colossus in front of the defence. 20 years on from their first World Cup win, France will be brimming with confidence to make Russia 2018 their second. But you can't count out Croatia just yet. The only team to win every single of their World Cup 2018 matches (albeit two on penalties and that extra time victory over England in the semi-final), it doesn't require a long memory to recall their 3-0 destruction of Argentina. And with Luka Modrić – arguably the world's finest midfielder – pulling the strings, it's not a stretch to imagine him lifting Croatia's first every World Cup when all's said and done in the World Cup final today. Keep reading to discover how to live stream the France vs Croatia World Cup final no matter where in the world you are. Below we’ll tell you exactly how to watch on your TV, mobile device and it doesn't have to cost you a thing. Simply open the VPN app, hit 'choose location' and select the appropriate location - it's super easy to do. If in any doubt, just head straight to the UK. If you know exactly what station you're hoping to catch the game on, then you don't need us any longer – head straight there. If you're not sure, just stick with TVPlayer.com in the UK. It will be showing all the games for free. You don't even have to sign up. Want to record the game and catch it in your spare time? TVPlayer Plus carries a £5.99 monthly fee but lets you 'record' up to 10 hours of TV to watch at your leisure. And you can take advantage of its 14-day free trial, too. If you're in the UK, you get to choose between BBC One and ITV as to where you watch the 2018 World Cup final. Which broadcasting team have you preferred along the way? Or will it come down to the fact that BBC doesn't hinder you with adverts? If you're out of the country, on your summer hols perhaps and want to get the UK broadcast, then it's very easy to download and install a VPN and then head over to TVPlayer.com to watch. Fox Sport is the official US broadcaster for World Cup soccer in the US and it's 11am ET / 8am PT kick-off for Croatia vs France. If you don't have cable, you could always grab a free trial to another streaming service like Sling and Fubo and watch on there. Or choose the VPN route as described above and catch the UK coverage instead. In Canada, CTV won the rights to show the FIFA World Cup 2018. That means cable users can watch the final on TV, online or via the CTV Go app. Logging in to another nation's broadcast is also a great option using a VPN following the instructions above. Great news for Australians as free-to-air SBS has the rights to show the World Cup 2018 finals. Not so great news – in the AEST time zone, kick-off is at 1am, so you'd better remember to put the coffee pot on late on Sunday night. And don't worry if you're out of the country and want to catch that SBS (or UK broadcast) as using a VPN will let you watch as if you were back at home. Unlike in the UK, you have to pay to watch the World Cup final in New Zealand. Sky Sports have the rights locally. If you don't have Sky and don't want to subscribe just for the FIFA World Cup, then you could go for a VPN instead and tune into free coverage from another country. If you've decided that a VPN is the best way to catch your chosen World Cup live stream but can't quite choose between the hundreds of providers out there, then our exclusive competition may sway you. VyprVPN has clearly got a case of football fever and is giving away a PS4 Slim (1TB) with a copy of FIFA 18 to one lucky winner. You won't find this competition anywhere else on the web and if you don't take the top prize, five runners up will receive a free year of Vypr VPN instead. All you need to do is head to the competition page, complete the entry form and you'll be in the prize draw (full terms and conditions can be found on the competition page). It's an open goal! A VPN will enable you to watch every 2018 World Cup fixture from literally anywhere – even if it isn't being broadcast in that country. So that obviously includes all the competing countries and anywhere else on Earth you might be: Argentina, Australia, Belgium, Brazil, Colombia, Costa Rica, Croatia, Denmark, Egypt, England, France, Germany, Iceland, Iran, Japan, Mexico, Morocco, Nigeria, Panama, Peru, Poland, Portugal, Russia, Saudi Arabia, Senegal, Serbia, South Korea, Spain, Sweden, Switzerland, Tunisia, Uruguay and many more! The ability to live stream all the football to your phone or tablet is undeniably useful – you don't have to miss a single goal, even if you're out of the house. But if you want to stream the World Cup from the internet to your TV, then picking up a streaming box might be useful. Check out our guide to the best streaming media players, where the likes of Apple TV, Roku and Amazon Fire are all included.